Check it out – a new issue of All I Want is Everything, finished just in time for the end of International Zine Month! 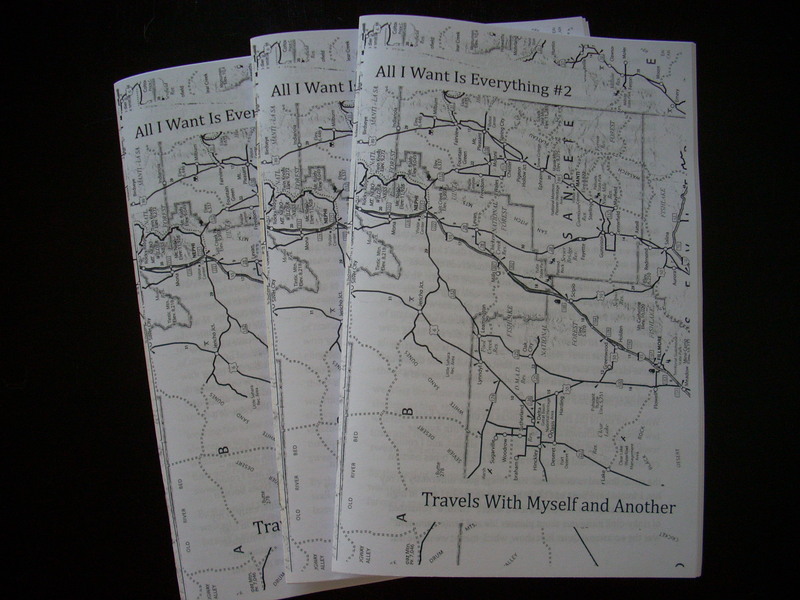 This half-size zine, subtitled “Travels With Myself and Another,” is a collection of personal essays written over a six-month period of my life when I traveled all around the United States with my husband. Join me as I feel overwhelmed with awe and envy in New York City, battle seasickness while traveling from Key West to the Dry Tortugas in the middle of the Gulf of Mexico, am less than impressed by the Hollywood sign in Los Angeles, lose money while smugly hating Las Vegas and have a crisis of non-faith in Salt Lake City, and more. The zine is 44 pages and costs $2.50. You can send me money via PayPal to saltonmyskin at gmail dot com, or you can buy it from Stranger Danger Distro.